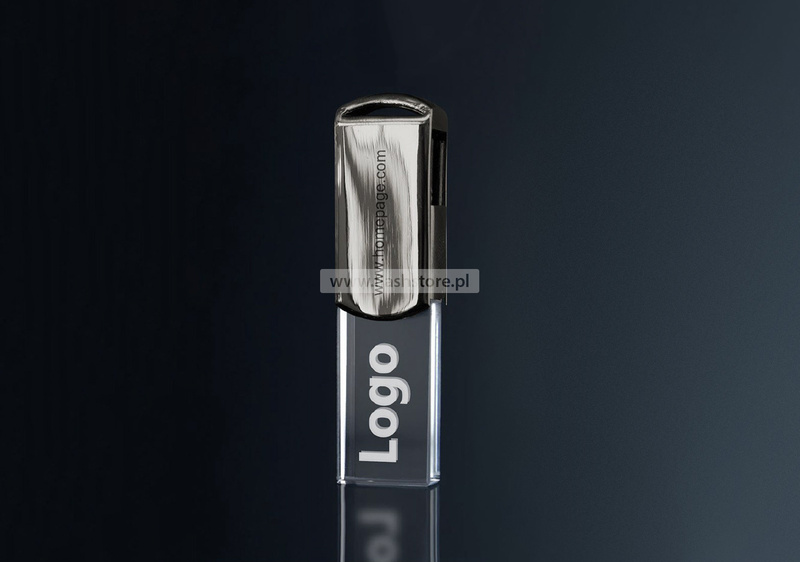 Pendrive with the symbol FS-107 was designed from a combination of acrylic glass and a movable metal cover of the USB connector. The surface of this model allows you to perform laser engraving in 3D (inside the crystalline shell). Available with blue, green, red, yellow and white signaling diodes.